IRS Calls Entertain Senior Citizen — A certain senior citizen we know has been getting calls from a cell phone claiming to be from the IRS and saying the department was suing him. These scammers have conned decent unsuspecting people of a lot of money and should be rotting in jail. In the meantime, however, they have been providing a source of mirth and entertainment for our retiree. In the initial call, he asked the scammer – who had a strong Indian accent — if he wanted to buy a duck. This confused him. When the scammer tried to get back on track our retiree asked again. Eventually, the scammer got frustrated and hung up. But the sport was not over. The scammer had given a number to contact to resolve the lawsuit. So, throughout the morning our retiree has been calling that number. He identifies himself as Joe Penner and asks the scammer if he wants to “buy a duck”. Apparently, that was an in-phrase when our senior citizen was young. The last time he tried he was put directly to voice mail. He had fun while it lasted, though. The Treasury Department has a web page for taking complaints for this scam. Yes, our senior citizen has filed one. Tax law says that Churches may not intervene in political campaigns. But the definition and boundaries of such intervention are vague and confusing. In its attempt at guidance, the IRS says “all the facts and circumstances” have to be examined. From one point of view, this standard itself is not a standard at all, but a mere statement of the obvious. After all, if a person, in making any kind of judgment, does not consider “facts and circumstances,” what, after all, does he or she consider — crystal balls, astrological signs, dreams and hallucinations? From another point of view, how can one possibly consider all facts and circumstances of any action or decision? In real day to day life, we consider those facts and circumstances of which we are aware in the amount of time we have to make the decision, and which seem important enough to influence the decision. It’s a normal fact of life that, looking back on decisions we have made, we come to see facts and circumstances we did not have the time or ability to weigh at the time of the decision. Obviously, a consideration of “all the surrounding facts and circumstances” — if it can ever happen at all — can only happen after the action has been taken, and perhaps a long time after, or indeed never. A question obviously arises here. Unless we are to say that Churches have no freedom to teach on issues that also happen to correspond to political debates, how are they protected from the accusation of being “partisan” simply because the position of the organization, or the teaching of the Church or the Gospel, corresponds to the position that one particular political party or candidate has, and is diametrically opposed to that of their opposing party or candidate? The Church opposes abortion and stands up for the rights of the unborn. The Republican Party platform takes a similar position. The Democratic Party platform, on the other hand, supports abortion as a right. So now, is the Church’s pro-life position partisan, and therefore illegal to assert? That would be both absurd and intolerable. Erik Stanley states, “The predictable outcome of this state of affairs has been massive self-censorship among churches and pastors.” Even the Supreme Court, on more than one occasion, has noted with concern what happens when people aren’t given a clear, bright line regarding what speech and activity is forbidden and what is not. “Uncertain meanings inevitably lead citizens to ‘steer far wider of the unlawful zone . . . than if the boundaries of the forbidden areas were clearly marked.’”(Grayned v. City of Rockford, 408 U.S. 104, 109 (1972) (quoting Baggett v. Bullitt, 377 U.S. 360, 372 (1964)). We at Priests for Life believe there is a solution to all this. We believe it’s time to stop censoring ourselves by the risk-averse mentality, often fostered by legal advisors, that wants to not only avoid breaking the law, but also avoid both the accusation and the appearance of breaking the law. This lack of willingness to fight leads to sterility and paralysis, keeping the Church’s mission from being fulfilled. It is time to apply a clear standard like this in order to interpret the political intervention prohibition on Churches. Foreign Account Tax Compliance Act or FACTCA took effect July 1 after a six-month delay and is the latest ploy by Barack Obama to destroy American influence. The law was passed in 2010 when the Democrats ran everything and requires every bank in the world to enter into a sharing agreement with the IRS. The convoluted paper-work laden law requires banks that are in compliance to withhold the 30 percent tax on any funds transferred with banks that are not in compliance or risk the withholding tax penalty themselves. The idea was to stop those sheltering their money overseas. The consequence, however, is that foreign banks are starting to refuse the business of the seven million Americans who live abroad and that these Americans are giving up their citizenship in unprecedented numbers. We fear it is but a matter of time that the dollar loses its status as the world’s back up currency. Sarah Palin is absolutely right. Obama should be impeached as soon as possible. IRS: A Series of Unfortunate Events? You may recall that when the IRS political-persecution scandal first started to become public, the agency’s story was that the trouble was the result of the misguided, overly enthusiastic actions of a few obscure yokels in Cincinnati. That turned out to be a lie, as we all know. But the IRS made a similar case successfully in the matter of its criminal disclosure of the confidential tax records of the National Organization for Marriage, whose donor lists were leaked to left-wing activists in order to use them against the Romney campaign. The IRS admitted that an employee leaked the information, but said it was an accident, that it involved only a single employee making a single error, etc., and the court agreed that NOM could not show that the leak was the result of malice or gross negligence. Truly, the IRS must be the unluckiest agency in the history of the federal government. Oops! 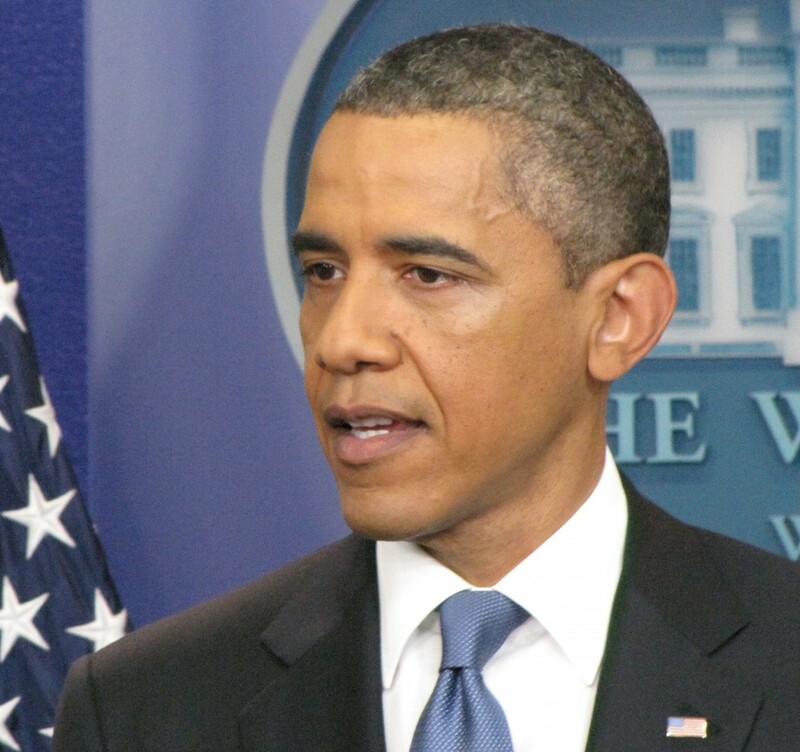 It’s leaking confidential taxpayer information to political activists. D’oh! It’s improperly and illegally targeting conservative organizations for harassment and investigation and misleading Congress, investigators, and the public about the scope and scale of that wrongdoing. Dang! It cannot produce the emails that investigators have demanded as part of the inquiry into its actions. Rats! Its employees are openly campaigning for Barack Obama’s reelection while on the IRS’s clock, using IRS resources, and holding taxpayers hostage. And, who could have seen it coming? The IRS violated the Federal Records Act by refusing to archive relevant documents. With a string of bad luck like that, sure, accidentally releasing NOM’s confidential taxpayer information to left-wing activists seems right at home. That these events represent an unconnected string of unfortunate events — all of which just so happen to benefit the Left and its IRS allies while hurting conservatives and IRS critics — beggars belief. Add to that mix the willful dishonesty, the staged press rollout, complete with planted questions, intended to preempt questions about the internal investigation and its results, the naked lie that the wrongdoing was limited to a few nobodies in Cincinnati — the only way to believe that story is to desire very deeply to believe it. The alternative and much more likely — undeniable, to my mind — explanation is that the Internal Revenue Service is engaged in an active and ongoing criminal conspiracy to misappropriate federal resources for political purposes, to use its investigatory powers, including the threat of criminal prosecution, for purposes of political repression, and to actively mislead Congress and the public about the issue; that the Justice Department is turning a blind eye to these very serious crimes for political purposes and is therefore complicit in the cover-up; that these crimes were encouraged if not outright suborned by Senate Democrats; and that the White House is at the very least passively complicit, refusing to lift so much as a presidential pinkie as the IRS runs amok. And, apparently, there’s nobody in Washington with the power and the inclination to do anything about it. Author BillLawrencePosted on June 26, 2014 June 25, 2014 Categories Guest Authors, IRS, NROLeave a comment on IRS: A Series of Unfortunate Events? In light of how the administration used the IRS, it showed a pretty sick sense of humor. Further it revealed a rather banal man indifferent to the responsibility of wielding power, and, even more troubling, indifferent to the rights of others. He’s joked about drone strikes too. Thank God for our Constitution. All Obama voters should hang their heads in shame. John Koskinen, the man who heads the IRS which is now looking more and more like an apparatus of a police state whose administrators feel beholden to no law, is a partisan Democrat. That’s right, he has given over $100,000 to Democrats over 40 years including $7,300 to the Obama campaign. 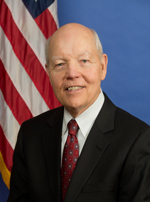 Koskinen was named IRS commissioner in August of 2013 in the wake of scandals showing the agency unfairly targeted groups opposed to the Obama administration. Was he going to institute needed reforms and see that justice was done to allow the American people to once again trust their government? Or was he just a hired fixer picked to sweep things under rugs? Well, he is now telling Congress that documents subpoenaed twice have been lost in ways not possible, and that no effort was made to find them anyway. The documents — the email archives of former IRS tax-exempt division chief Lois Lerner — would have revealed whether the discriminatory treatment of opponents of the president was done as a result of policy. Ms. Lerner has invoked the 5th Amendment regarding testifying before Congress. The Internal Revenue Service has lost critical emails of seven officials accused of targeting conservative groups. Byran Preston of PJMedia.com notes that the IRS uses server based Microsoft Exchange as its email system hence its excuses of hard drive crashes and recycled backup tapes are not very plausible. If emails are served on outside servers problems they would obviously not be susceptible to issues involving local computers. Hypocrisy involving government always comes back to bite those responsible in the tail. It may take awhile but it will happen here as well. Sarah Palin’s brother on Jan. 11 posted on Facebook that their father became the subject of government harassment shortly after Palin was tapped as a vice president candidate in 2008. My father, who worked multiple jobs and faithfully and honestly paid his taxes for fifty years, had never heard a word from the IRS. In 2008, his daughter was tapped to run for vice president of the United States. Since that time, he has been, in his words “horribly harassed” six times by the agency. They’ve tried to dig up something on him but he’s always operated above board. Government and politics are ugly. Kudos to the few that are trying to clean it up. Chuck Heath Sr. is a retired school teacher who has a reputation of being Mr. Chips. So where is the outrage in his defense from the old media watchdogs? Stupid question. There are no old media watchdogs. All that’s left in the old media are gutless corporate hacks and happy purveyors of propaganda looking to go along to get along. Kudos to Paul Caron of Pepperdine University School of Law whose TaxProf Blog is not letting Barack Obama’s use of the IRS against political opponents be forgotten. Caron is a member of the Law Professors Blogs Network. Douglas Shulman, who was IRS commissioner during the Obama’s first term, visited the White House 118 times just in 2010 and 2011. His successor, Steven Miller, also visited “numerous” times. The IRS commissioner is a managerial position, not a policy one. Mark Everson, who was IRS commission for most of the Bush II Administration, visited but once. We should be very scared about what this administration is capable of doing.